Servos are composed of an electric motor mechanically linked to a potentiometer and they are able to translate the width of the pulse into a position. When you command the servo to rotate, the motor is powered until the potentiometer reaches the value corresponding to the commanded position. 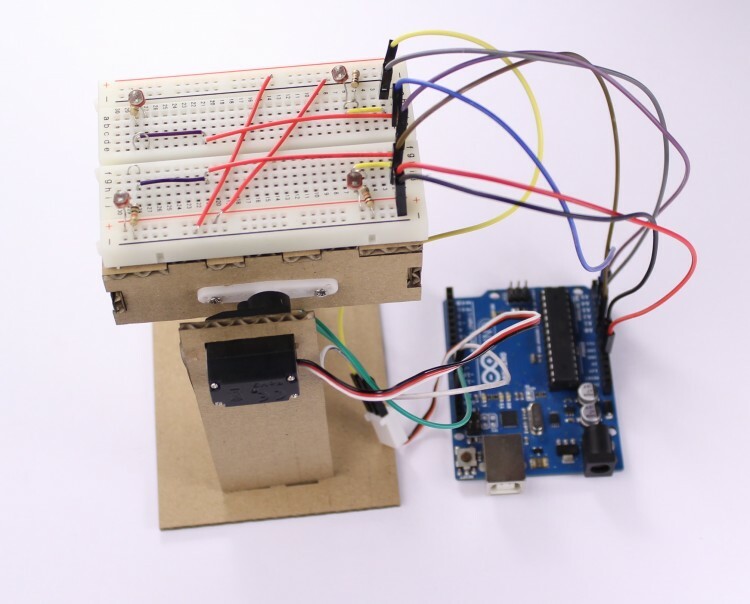 Today we’d like to share with you a tutorial with the aim of showing how to make a simple light follower made of cardboard using Arduino Uno and a microservo, in this case the Analog 180° Micro Servo. Follow the step by step lesson to build one yourself. Light Follower. Took me a second to understand by the title. This could help position your solar panels to follow the sun. Could this be modified with another servo to track(slew) a solar telescope? Please attach or send the printable template file. I cannot find it in the post.